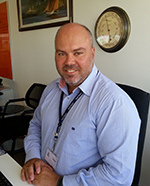 Mr. Stylianos I. Siafakas is the Chief Operating Officer of Product Shipping & Trading SA and has been in Shipping and especially in the Tanker Industry since 1989. He has both shipboard and office experience and has served in senior positions in large shipping companies for the last 16 years. Mr. Siafakas has studied at the Merchant Marine Academy (Faculty of Master Mariners). He has also studied Mechanical & Aeronautical Engineering, Shipping Law and Finance. Continuous Education, Qualifications & Certification obtained, include between others: Lead Auditor, Risk Management, Media Response, Incident Investigation, Crisis Management, Train the Trainer, Behavioral Analysis, etc. He has been also involved in several Shipbuilding and Management Take?over projects in the last 10 years. He has been also involved in the development of SoX Compliance procedures and participated in 3 IPOs/Road shows for Nasdaq and NYSE.